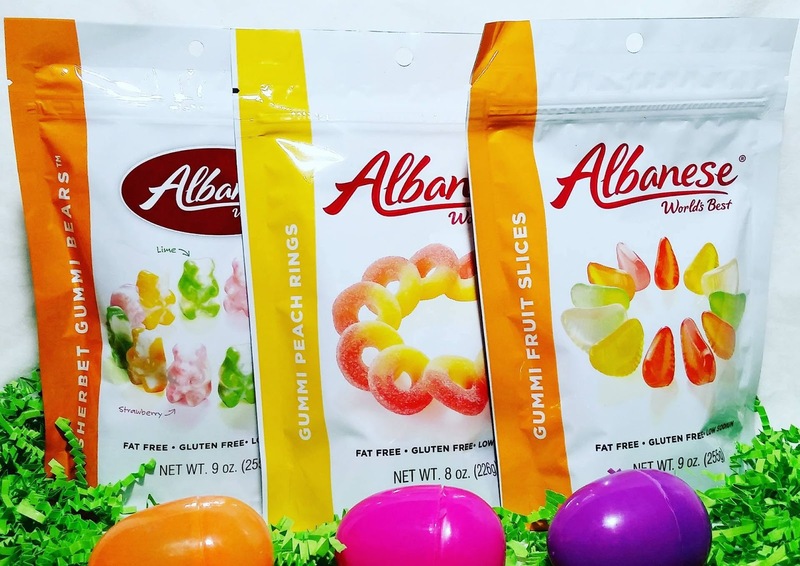 Albanese World's Best Gummies & Candy offers the perfect treat for some bunny you love this Easter. 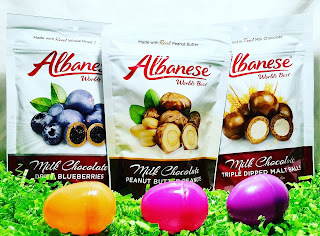 This is our very 1st year working with Albanese candy and we were delighted with the products that were shipped to us to feature. 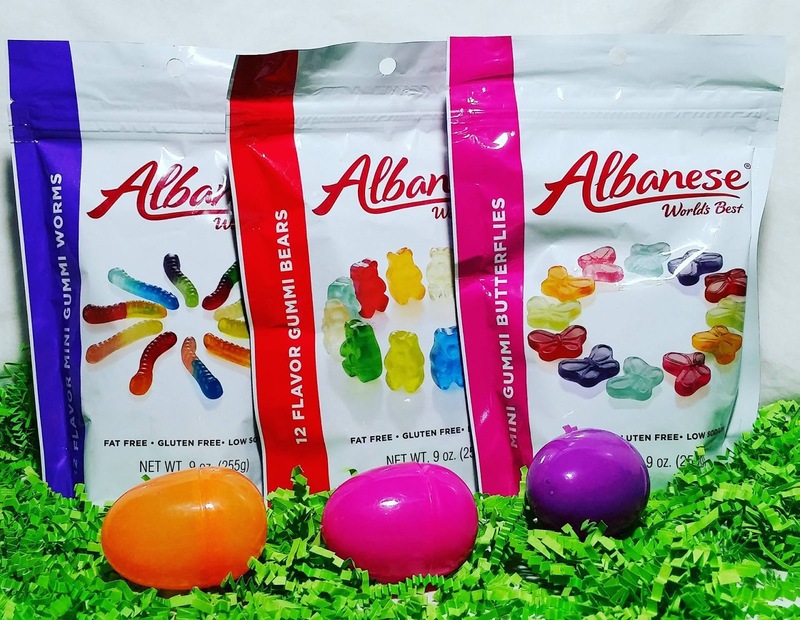 For over 30 years Albanese has been making the World's Best Gummies & Candies right here in the United States. With a statement like that this company has a lot to live up too. When our box arrived it was very well packaged and even included ice packs. They must know the temperatures in Georgia have already reached into the 90's and spring has just sprung. 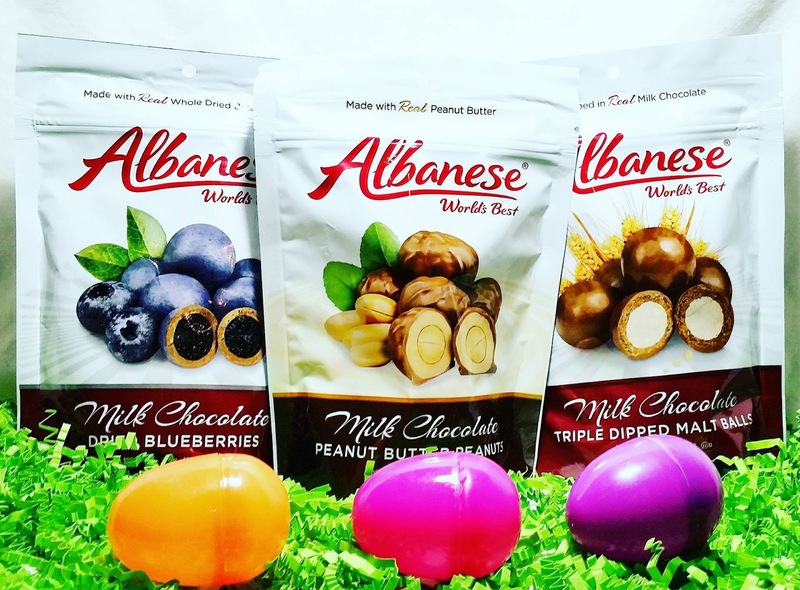 These are not your everyday run of the mill candies. 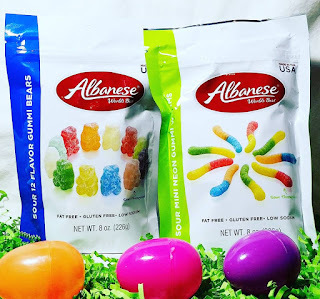 We were blown away with the assortment and different flavors of gummies this company offers. You must visit them to take in the vastness and ease of shopping their web page provides. Everything is neatly organized and even has easy to find provisions to allow you to search out if an item is dairy-free, fat-free, gluten free, MSG free etc. 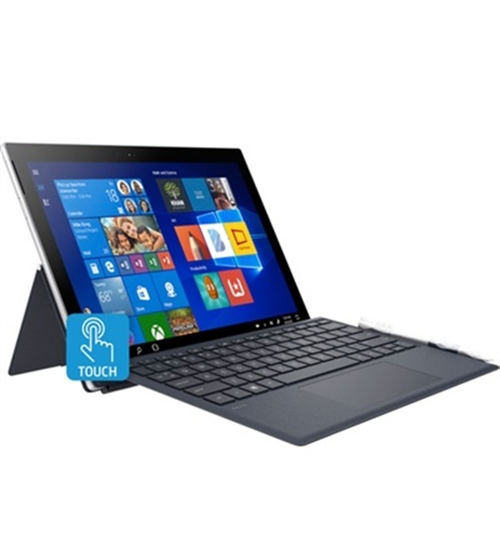 They also have customer ratings and reviews listed with each item. Our kids LOVED the gummies and had a great time picking out the different flavors. As for the grown-ups, we might of keep the chocolate's all to ourselves. 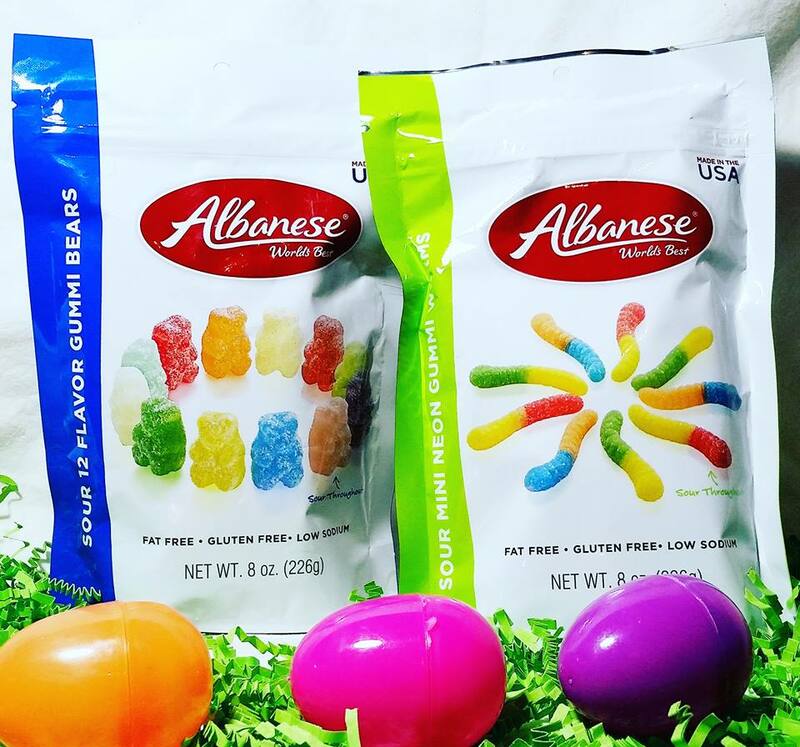 Albanese World's Best Gummies & Candy would make the perfect addition to any Easter basket or party. So is Albanese the World's Best Gummies & Candy? We seem to think so! But we also invite you to try them on your own to become a believer. Make sure to sign-up for the sweet deals newsletter to stay up to date on all the happenings and savings. Below you will see a list of everything we received along with a product description and a link to buy each item. Tiny Tiny Tiny...Why not enjoy twelve flavors instead of one? These Gummi Worms may be small but that doesn't take away from their big taste. Flavors include: Wild Cherry, Pink Grapefruit, Watermelon, Strawberry, Orange, Blue Raspberry, Lime, Grape, Green Apple, Mango, Pineapple, Lemon. Flavors include: Orange, Lime, & Strawberry. Grab a little slice of heaven! Our Gummi Fruit Slices will take you to the tropics with fresh fruity flavors of Lemon, Lime, Orange, Mango, Pink Grapefruit & Pineapple. 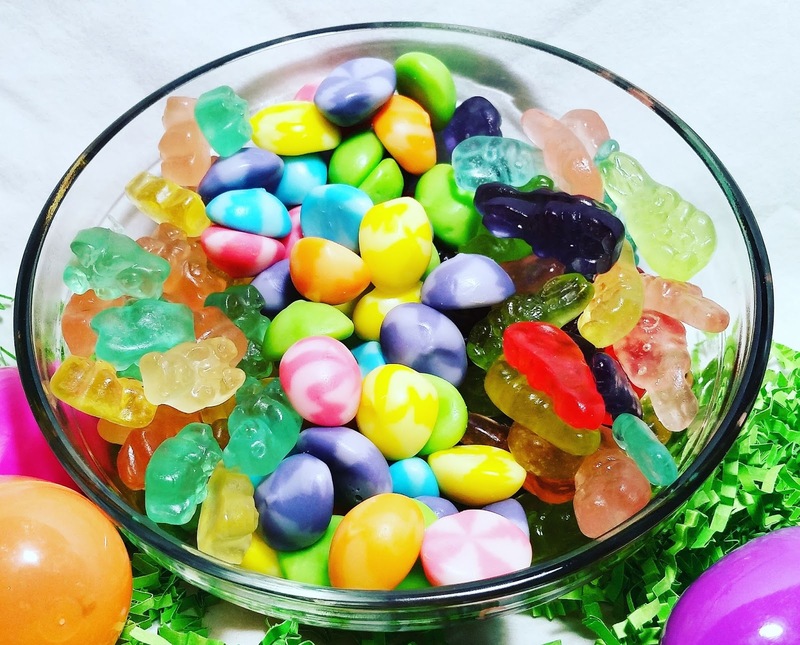 Pucker up for a sour take on our sweet Gummi Worms. Each Sour Mini Gummi Worm is dusted with a sour coating giving it a tart bite. 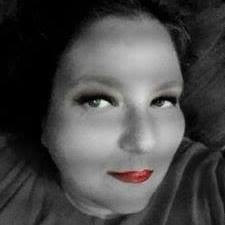 Flavors include Blue Raspberry, Lemon, Orange, Cherry, and Green Apple.